Ladies Micropolar Polar fleece sweat available in all sizes and various colors, with half clasp on the collar and chin protector. Elasticated cuffs with tone. 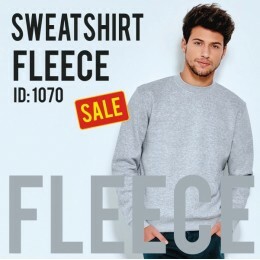 1..
Fleece Sweatshirt Unisex in all sizes and various colors, with collar, cuffs and rib waistband 1x1 with elastane. Cap reinforced seams on the collar. ..